FNB Maties crushed FNB NWU 40-7 in a one sided encounter in Stellenbosch on Monday, April 16 to claim their fourth Varsity Cup trophy. The final match brought to an end the 2018 Varsity Cup season which saw FNB Wits achieve their best ever finish in the tournament. 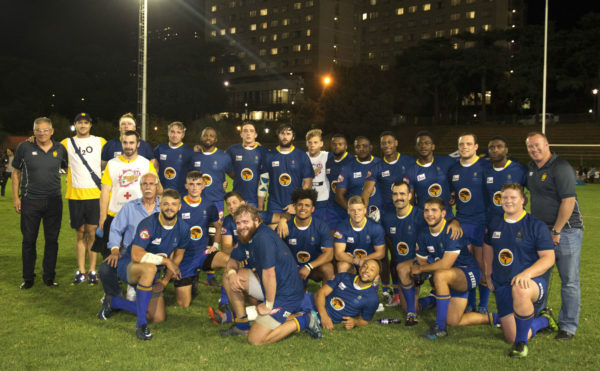 Wits reached the semi-final stages of the Varsity Cup history but were beaten by the now champions, Maties, with a closing score of 65-18 earlier this month. This was Wits most successful season ever in the Varsity and Wits captain Constant Beckerling attributed this successful season to the hard work of the players and coaching staff. Wits had a mixed bag of results on route to their semi-final. The first two rounds of the competition saw Wits defeat FNB Ikeys and FNB Tuks, however they were humbled early on by a defeat to FNB Shimlas in the third round. The boys from Braamfontein redeemed themselves with three good results against FNB Madiba, FNB Maties and FNB CUT. Luck ran out for Wits as they were dealt three defeats in a row by FNB UJ, NWU and Maties. He added that he is “proud of the brand of rugby we played, it was exciting and we want to build and expand on that”.